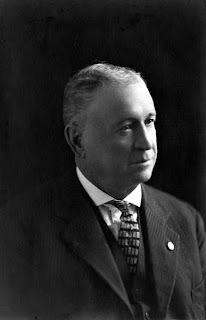 Cowan was firmly committed to public broadcasting and was determined to see that the North would be served by the CBC. On November 10th, 1958, Cowan's hard work paid off. 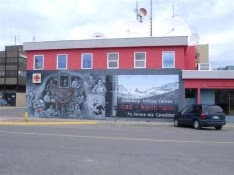 CFWH became the first in a series of network-linked radio stations owned and operated by the CBC to broadcast across the North. CFWH, standing for Canadian Forces Whitehorse, went on the air in the mid-'40s as a military run, but volunteer staffed radio station. When the CBC took over, four Yukoners, Terry Delaney, Tom Horny, Earl Stephanson and Joe Craig became the CBC's first on-air employees in the North. Joe Craig had been the morning man on CFWH as a volunteer and retained that role with the CBC. Terry Delaney became the voice of sports in the Yukon, and went on to cover many memorable events such as Senator Robert Kennedy's famous climb of Mt. Kennedy in the St. Elias Mountains. 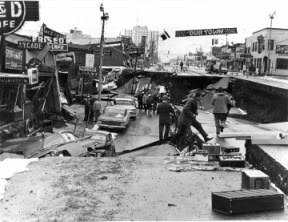 He also reported first-hand to the world the Alaska earthquake of 1964. When I became a summer relief announcer, the legendary Wee Willie Anderson was known throughout the Yukon for yelling 'Yahoo' at the top of his voice to open his popular daily western roundup show. Cal Waddington was producing timeless Yukon historical radio programs. Terry Delaney was calling local hockey games, and Ted North was sending news reports "outside" to the network. The first location of CFWH, as a CBC station, was in an old air-force building across the Alaska Highway from the airport. In the early '60s, the CBC moved into a brand new building on Third Avenue, next to what was then the bus depot. As new as the building was, it was never meant to be a radio station. Sound proofing was non-existent and hallway conversations could be heard during local station breaks. The daily 6:30 departure of the bus, parked between the bus depot and the radio station, coincided with the broadcast of the local 6:30 newscast. I could always distinguish the bus drivers who liked the CBC from those who did not. Friendly drivers calmly let the engine idle. Unfriendly drivers revved the engine at maximum torque until the newscast was over. In April of 1966, the CBC moved to its present location on the corner of Third and Elliot. The building was state of the art for its time. It was sound proof. In the 1920s, Alex Pantages was a name to be reckoned with in the motion picture industry By the late 20s, Pantages owned or operated more than 70 stunning theatre buildings throughout Canada and the US. But his empire began to crumble with the great depression. 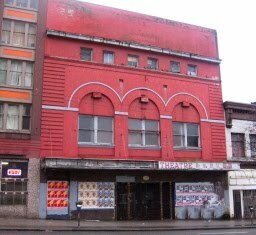 The first Pantages theatre in Vancouver is still standing on East Hastings, (as of April 2010) the oldest remaining Pantages theatre in North America. But not for long. The Yukon's official bird is not only found in the Yukon. It's found all across the circumpolar world and ranges as far south as the mountains of central America. Still, if you're going to choose a emblematic bird for the Yukon , it might as well be the smartest, funniest, coolest bird in the land. 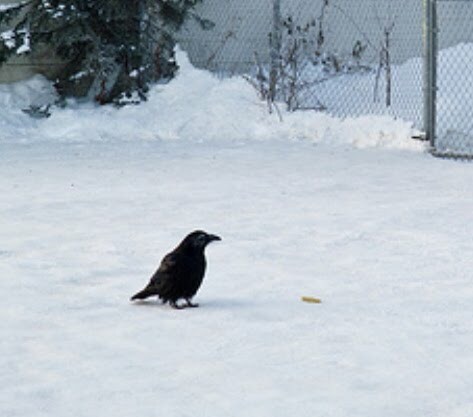 These birds are smart. And gregarious. They know humans are good providers of nutrients - garbage cans, grocery bags left unattended in pickups, dog mash left in the backyard. Ravens know how to find this stuff, and that's why they hang around. Ravens are the largest of all songbirds. They are members of the crow family and thus related to magpies, jays and nutcrackers. As with much bird life, not a lot is known about their communication systems. But some researchers say they have the most complex vocalizations of all birds. Today, the SS Keno sits high and dry near Front Street in Dawson. She was built in Whitehorse in 1922 and was considered the little jewel in the crown of Yukon riverboats. The SS Keno was built to carry ore between Mayo and Stewart City at the mouth of the Stewart River. The Keno's draft was only three feet, allowing her to navigate the sometimes very shallow Stewart. She could carry 120 tonnes on board and another 250 tons by pushing a barge in front. The lead-silver-zinc concentrate was contained in bags, each weighing 125 pounds and each laid on the freight deck. By 1937, ore production was growing faster than the boats could deliver it to Whitehorse. So the Keno was lengthened by 10 feet. The Keno was taken out of service in 1951, when trucks began carrying ore on the newly built Whitehorse-Mayo road. She sat in the shipyards in Whitehorse until 1960, when the White Pass company donated her to the Canadian government. That year she made her final voyage to her resting place in Dawson City. By 1960 a bridge had been built across the Yukon River at Carmacks. The Keno was too high to sail under the bridge. So the pilot house was taken off and the smoke stack was laid on the Texas deck. Even with these modifications, the Keno cleared the Carmacks bridge by just 18 inches. The Captain on that trip was Frank Blakely, a BC riverboat man, making his first trip on the Yukon River. Frank Slim was the pilot and Henry Breaden was the first mate. Terry Delaney and Ed Kerry of CBC Whitehorse were along to cover highlights of the journey for national radio broadcast. There are strange things done in the Yukon. Take money for example. The 1954 five-dollar bill was the first to have a likeness of our new Queen, Elizabeth on the front. She had been crowned Queen in 1953 and, the following year, the Bank of Canada replaced the portrait of her late father King George with hers. Well, it didn't take long for the conspiracy theorists to get in on the act. They saw the likeness of a devil’s head in her hair. Thus, the 1954 series of Canadian bank notes became known as the 'devil’s head series'. Of course, there was no devil in her hair. It was a mass case of seeing something that does not exist. A story made the rounds that a French Canadian, who designed the portrait, slipped a devil’s head past the scrutineers because he opposed the monarchy. That was never true. Just to be on the safe side, the Bank of Canada had the plates (from which the notes were produced) darkened in 1956, so any chance of seeing a fictional devil’s head vanished. Now you are right to ask, "what does this have to do with the Yukon?" Snafu and Tarfu are two lovely lakes just off the Atlin Road. Both are pleasant places for Yukoners seeking summer fun where the fish are jumping and living is easy. The lakes are small, safe, fish-filled havens in the land of the big sky. If their names seem like military jargon, they are. The lakes were named by Canadian military personnel who built the Atlin Road in 1948. 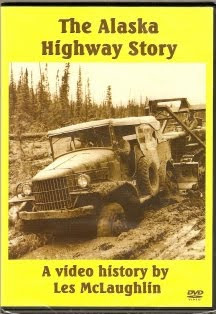 Just a few years earlier, the Canadians had been the beneficiaries of a full dose of American military slang from the U.S. Corp. of Army Engineers who built the original Alaska Highway . The story of how these two weird, wacky and wonderful words entered the vernacular is somewhat shrouded by the mists of time, but let me try and see if we can find their origin. It seems that the word SNAFU was coined by American military personnel during the Second World War. They frequently found themselves caught in the verbal spider’s web called Murphy Law, which assumes that if something can go wrong, it will. They also felt the effects of the law of unintended consequences, which means that no matter how well something is planned, something unplanned will happen that is not intended. When that happens, the whole affair is likely to wind up as a SNAFU, an acronym for “Situation normal, all fouled up.” Naturally there are variations on the word “fouled”. The words were likely the invention of two members of the California National Guard who had been ordered to active military duty in March 1941. While in training, Don Taylor and John Paup spent their time sending practice radio messages to each other. Most radio communications used the international Morse code but had the disadvantage of being easily intercepted by the enemy. To overcome the problem, messages were scrambled or converted into five-letter code groups by a mechanical device. Example: The original “clear text” message might be: General Bootlikker requires more artillery support. After being scrambled or converted, it would then be transmitted in five-letter groups, CSIAM OTILA IHTDA SNAFU DWXBR POOPO, and later unscrambled. One day, Don and John made a game of creating sentences from meaningless coded groups. One code was SNAFU - Situation normal, all f——- up! After the soldiers coined the term in the early days of the war, major publications had a field day. SNAFU seems to have been used first in a military context in the September 1941 edition of a publication called American Notes and Queries. Then, in 1942, Time Magazine wrote a lengthy thesis about the effects of a wartime bureaucracy on the civilian population and blamed all the foul-ups on one word - SNAFU. Time wrote: “ U.S. citizens knew that gasoline rationing and rubber requisitioning were snafu. For months, the people and their leaders had pussyfooted around the twin horrors. There were orders and counter-orders. All were different. “The people, numb with bewilderment, choked with wrath, gave up. Snafu is a good, grumbling military precision word that meant when the supply ship arrived; the stuff on the bottom should have been on top. “Snafu is when radio receiving sets arrived at a jungle camp without batteries. Snafu is when a Seattle regiment is shipped to New York for embarkation, and an identical New York regiment is shipped to the Pacific Coast .” Here you might ask if SNAFU is a noun or a verb. A noun is the Yukon lake. A verb is what happens when you get there. But I digress. It did not take long for SNAFU to have a big brother, a word describing far dastardly foul-ups than mere SNAFU. When things got really messy, the word TARFU took over. It meant “Things are really fouled up.” Probably beyond repair. Later, Fubar made an appearance, but because it meant that the situation was way beyond repair, it didn’t gain the cache of SNAFU or TARFU which became world-wide celebrities in the mid-‘40s. The words quickly caught on with military personnel everywhere. During World War II, America ’s entire industrial might was geared to winning the war - and so was the entertainment industry. In 1942, Frank Capra, chairman of the Armed Forces Motion Picture Unit who later directed blockbuster films such as ‘It’s a Wonderful Life’, was in charge of producing “entertaining” training films for the troops. Capra came up with the clever idea for a series of cartoons featuring a bungling little soldier named Private SNAFU. 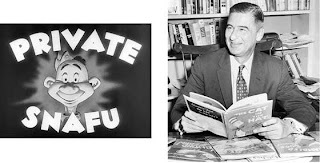 Capra wanted the SNAFU films to be first class, so he invited bids from the major Hollywood cartoon studios. Walt Disney Studios placed a bid, but the contract to produce the series was won by Warner Brothers. The first cartoon was called “Coming! Snafu!” and introduced American G.I.s to Private SNAFU. In the second cartoon, called ‘Gripes’, Private SNAFU pays for the foul-ups he’s caused by getting ordered on KP duty, which often meant peeling potatoes. After some complaining in rhyme, SNAFU is visited by the ‘Technical Fairy First Class’, a cigar-chomping, tiny flying wise-guy. “I hoid ya sayin’ dat everything stank, how you’d run things better if you had more rank, so as Technical Fairy, I gotta good notion, ta give ya a chance pal, here’s a promotion!” Private SNAFU becomes the head of everything but manages to make things worse. His voice of Private SNAFU is that of Mel Blanc who was also the voice of Bugs Bunny and Barney Rubble. 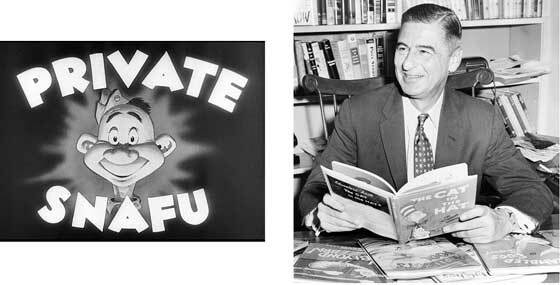 The rhyming script is the work of writer, Ted Geisel. Years later, Geisel’s special style of rhyming schemes would earn him world acclaim in books, movies and TV specials as Dr. Suess. So the next time you visit the Yukon lakes called Snafu and Tarfu along the Atlin Road , think of these names as significant members of the North American Language Hall of Fame. Bob Erlam belongs in the Yukon’s colourful five percent. As one time owner of the Whitehorse star, he has to be. With Bob Erlam, the ideas just kept coming. More often than not, they were ideas for offbeat stories with a strange twist. In 1963, Bob arrived at work one day to find a note from Boyle saying he was now in charge since Harry was going back to school to study law. Bob became the publisher and then in 1967, the Erlam’s bought the Star. Bob always carried his camera and shot many scenes of Yukon life during his 35 years as publisher of the paper. In 1965, he was contracted by Time Magazine to take photos of Senator Robert Kennedy’s climb of the Yukon's Mount Kennedy,named for his brother, the late U.S. president. Bob was also a jack of all trades - fixing the printing presses and keeping the spartan offices of the Star on Main Street operational - often with duct tape. The one thing he didn’t do, though, was a lot of writing. He said he couldn’t spell so anything attributed to him as a writer had been checked by Rusty. Bob always thought of the Star as the opposition to the government. He sa id it was the job of the newspaper to criticize and expose wrongdoing, and Bob was a champion of independent thinking. Though much has been written over the years, the first news accounts from the Klondike came from a pio neering journalist. In the spring of 1898, the Toronto Globe newspaper got caught up in the incredible story unfolding in the Yukon Territory. The Globe would be the first to print first-hand descriptions as told by one of Canada's first women journalists. One incident, during the winter of 1899, showed Faith's zest for getting a good story out quickly. In this case, too quickly. Four men were convicted of murder and sentenced to hang. Since the mail run was leaving before the hanging was scheduled, Faith wrote the story and sent it by special dispatch with a packer she hired. The packer left Dawson on the trail to Whitehorse. The story w as on its way. But the hanging wasn't. It was postponed. A frantic Faith Fenton convinced her friends with the Royal Northwest Mounted Police to chase down the mail packer and retrieve the story. Once again, the mounties got their man, to the relief of this faithful frontier journalist. The next time, Faith wrote about the difficulties in filing stories from the frozen north. In the summer of 2009, underwater archaeologists found a time capsule of the Klondike Gold Rush: a sunken Yukon River stern-wheeler so well-preserved that researchers can document the last minutes of the five-man crew as well as their life aboard the primitive cargo-hauler. When divers reached the sunken ship in about thirty feet of water in Lake Lebarge, the door of the steam boiler was open, and slightly charred wood found inside suggested the crew was trying to build up a head of steam, perhaps to break loose from an ice jam as the ship sank in a storm. An ax remained on the deck after one crew member hefted it to chop the rope used to tow a barge, a sign of their frantic attempts to escape the ice floe. The Goddard was not alone but it was the first of perhaps as many as 300 steamboats in the Yukon in the heyday of river transport. Few remain today and none ply the river anymore. But in 1898, river was the only way to get from the coast to the Klondike in a hurry. And there was money to be made especially if you were first in line and first in Dawson. 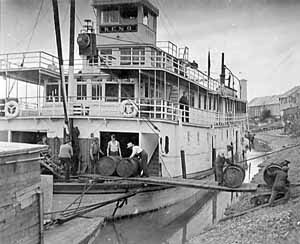 Thus it was that a mechanical engineer from Iowa sailed into the history books by being the first to navigate a steamboat from Lake Bennett to Dawson City. 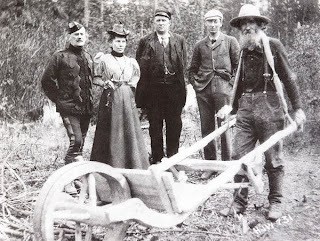 AJ Goddard and his wife packed parts for two steamboats over the White pass during the winter of 1897-98 when gold crazed souls headed for the goldfields near Dawson. The iron sternwheeler named the AJ Goddard and her sister ship the F.H. Kilbourne were built in San Francisco in 1897 and shipped in pieces to Skagway, hauled inland and assembled at the tent city at Lake Bennett. The boat christened the AJ Goddard was forty feet long, about one quarter the length of the SS Klondike and weighed in at 15 tons - about the size of fifteen one-ton pickups. The AJ Goddard left Lake Bennett on May 29, 1898, ran Miles Canyon and the notorious Whitehorse rapids and arrived in Dawson on June 21. Passengers on the boat included the famed Oatley singing sisters. Actually another so-called steamboat named the Bellingham beat the Goddard into Dawson by ten days, but it was - according to many - too small to be called a real steamboat. Engineer, AJ Goddard’s feat was recognized by the rough and tumble crowd in Skagway who realized he had done something special and held a civic parade in his honour. For three years, the A.J. Goddard served as a ferry for stampeders on their way to Dawson City. The craft was self-sufficient and it had its own repair shop, a blacksmith's forge, and a workbench. She operated on the river until October 1901 when she was wrecked in a storm on Lake Lebarge with the loss of the Captain, Charles McDonald, cook Fay Ransome, and fireman John Thompson. They were buried nearby by the North-West Mounted Police after their bodies washed ashore in 1902. As the vessel sank two other men, the engineer Stockfedt and crewman Snyder hung onto the pilothouse. They were spotted by a trapper camping nearby who came to their rescue. Today, the AJ Goddard rests peacefully on the bottom of Lake Lebarge. The boat is largely intact. A piece of land on the Northeast side of the Lake is called Goddard Point. The Alaska Highway was famous for many things, most notably, signs. During the heyday of construction, they were everywhere. If anyone doubted who owned the Alaska Highway during the war, a huge sign on the outskirts of Dawson Creek erased all doubt. It read: "Alaska Highway, U.S. Army Patrol Station, STOP." Here travellers had to pick up a pass from the American commander, authorizing travel on the road. Signs like "Suicide Hill, Prepare to Meet thy God" were descriptive in the extreme, yet proved a suitable warning to drivers who heeded the message, or regretted the outcome. On a mud-strewn section, somewhere near Fort Nelson in 1942, some enterprising soldiers posted a series of signs advertising Burma Shave, the men's choice of shaving cream during the Second World War. Nailed to a tree somewhere in the boreal forests of the Yukon, near a makeshift platform that held 45-gallon drums filled with fuel, were hand-painted signs on broken boards advertising "the lowest price; best gas in town, no smoking on platform, gas spilled on ground"
Less jovial were the red signs, trimmed with a black border, in the fifties that drew drivers' attention to the location of serious accidents. "One killed here" or "three killed here" were grim reminders to slow down and drive with care. There was Carl Lindley's famous 1942 sign at Watson Lake, pointing the way to Danville, Illinois. Lindley's story of his homesick homage to his hometown is a well known part of highway history. His makeshift work was a harbinger of bigger things to come. Today, Watson Lake is known throughout North America as the place to advertise your city, your business, or your favourite bistro. Less well known, perhaps, is the story of how the famed 'Mile 0' sign at Dawson Creek came to be. Like Lindley's Danville sign, a minor accident started it all. In 1946, a car ran into a four-foot-high post that marked the start of the highway. Back then, the post was located at the corner of 8th Street and Alaska Avenue, and looked the same as all the others that marked every mile throughout the length of the highway - a square, white wooden post with a black top. The Junior Chamber of Commerce saw the accident, not as an ill-fated incident, but rather a reason for creative celebration, and proposed an elaborate post be placed in the town centre. On Christmas day in 1946, the 10-foot-high pillar was placed smack in the middle of downtown Dawson Creek. It was not the precise geographic origin of the Alaska Highway, but in the years to come, it would not matter. Every traveller wanted a photograph to mark the beginning of their own adventure over the Alaska Highway, and they had to visit the town centre to get it. In Alaska, both Fairbanks and Big Delta erected mileposts similar to the one in Dawson Creek, and each claimed to be the official end of the Alaska Highway. At Big Delta, the sign read; "Delta Junction, Crossroads of Alaska, Pop 817, Mile 1422-end of the Alaska Highway." In Fairbanks, the sign fixed the total mileage at 1523. Not just American towns were competing for some highway glory. In Edmonton, Alberta's Highway 2 featured a big colourful sign, complete with mountains and forests and, in bold letters claimed: "Start, Alaska Highway, Edmonton, Alberta." Today, there are road-side signs advertising highway lodges and gas stations that multiplied like rabbits throughout the early days, when enterprising souls discovered that the highway was destined to become one of the great tourist attractions of the world.